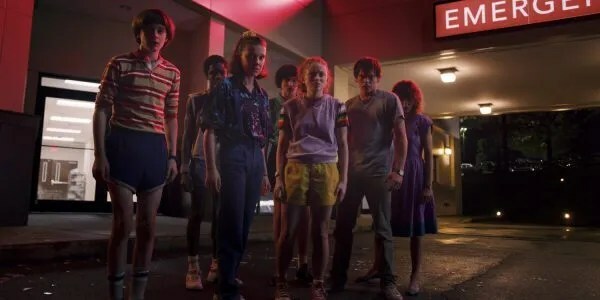 ‘Stranger Things’ Season 3 Images Are Like an 80s Dream!! Check Them Out!! | Welcome to Moviz Ark! ‘Stranger Things’ Season 3 Images Are Like an 80s Dream!! Check Them Out!! 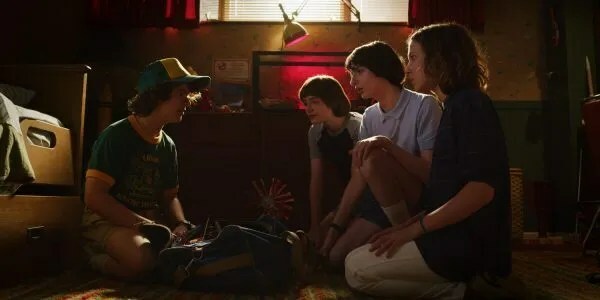 Friends, I don’t know what I expected from the Stranger Things Season 3 trailer, but it delivered so much more than I was prepared for that I can safely say it was worth the wait. The joyous introduction to this new season was not without tinges of darkness (and some very explicit shots of demons and the sinister evil of the Upside Down still corroding the down), however, it was mostly a celebration of being a kid or a teen in summertime. Along with the new trailer, Netflix has dropped some new images that give a clearer look at some of what we’ll be seeing on July 4th, including some classic character pairings as well as some exciting new ones. 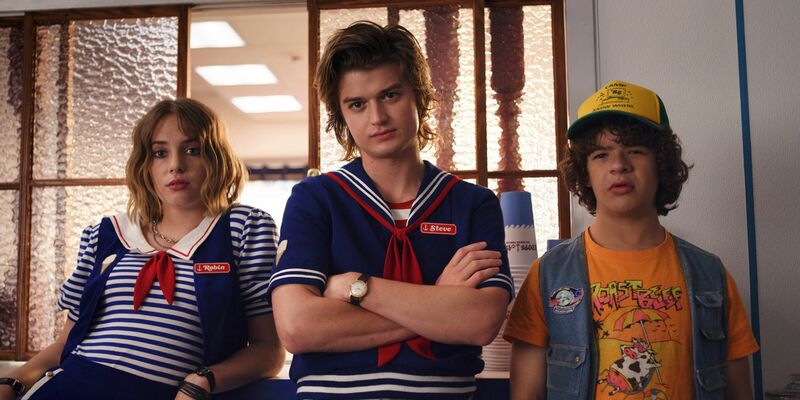 Firstly, I can’t even pretend like I’m not the most excited for the return of Steve and Dustin’s friendship, especially with a bored Maya Hawke looking on. This little mall rat trio is giving me so much joy. 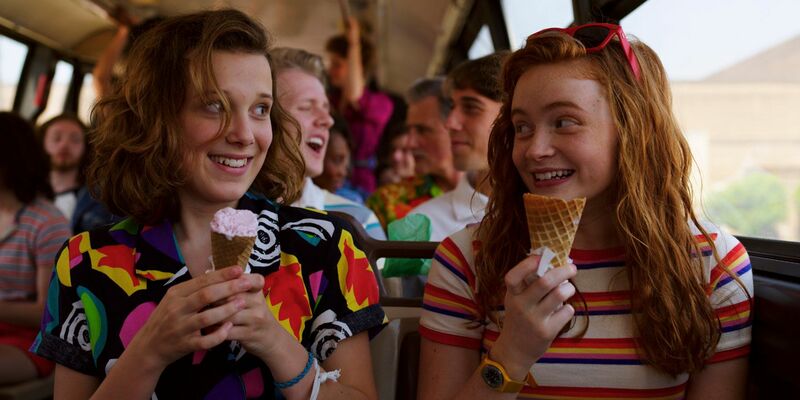 But I’m also really encouraged and excited by the friendship teased between Eleven and Max. Stranger Things has always been a male-dominated story, so it’s nice to see some time given to these two girls on their own, as Max seems to be introducing Eleven to the happiness of ice cream and the excitement of the mall. 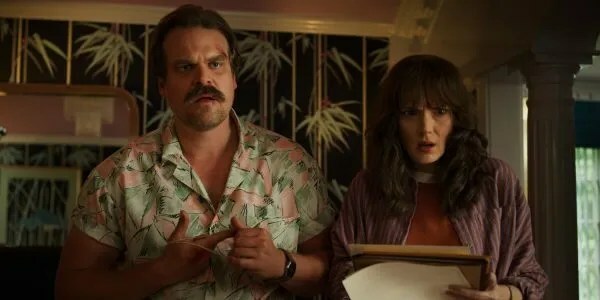 Billy, meanwhile — one of the show’s more cartoonish 80s characters — has the right vibes as a cocky pool lifeguard (who’s eyeing Karen up…). I’m also not mad at Sheriff Hopper’s Magnum, P.I. look. 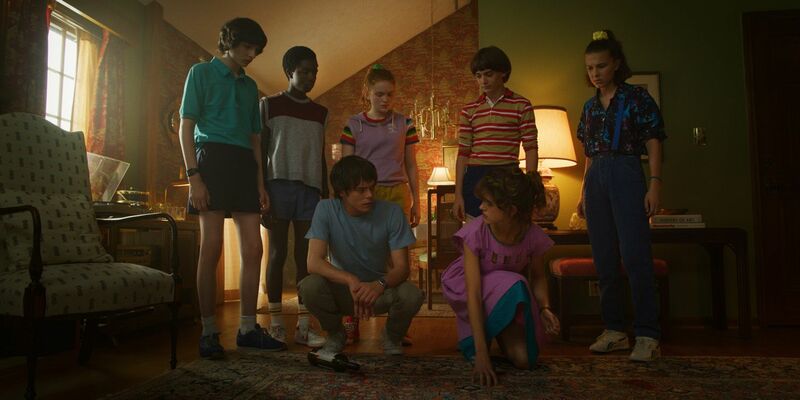 And while the fashions on the show have been somewhat muted in the past, they’re getting increasingly loud and vibrant, especially in Nancy’s case (although Eleven has some lewks going on here as well). I think the less said about the boys’ puffy shorts the better. ← ‘Masters of the Universe’: Noah Centineo Tapped to Play He-Man In Sony’s Movie!! !